Marc and I were quite busy this weekend. We spent most of our Saturday moving pieces from one of my consignment locations up to Morgantown Market. 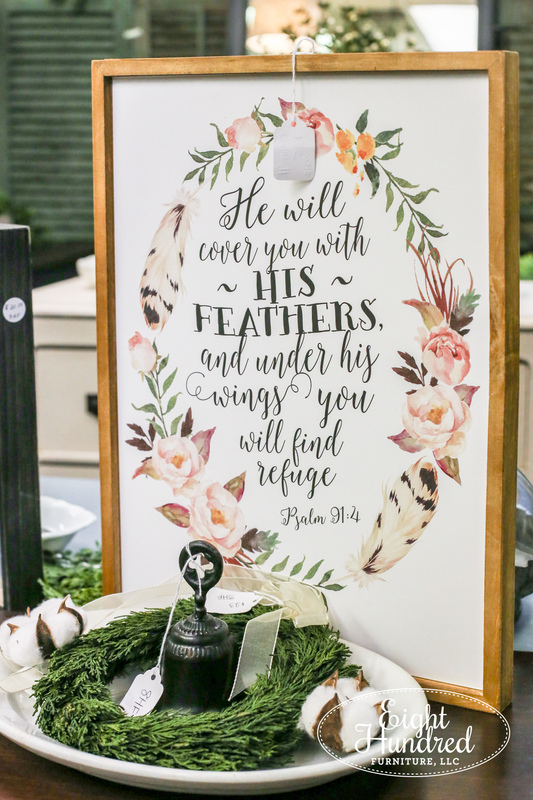 Up until this point, I was selling at three different locations – Morgantown Market, Painted Table Designs, and Rooted in New London. All three locations are wonderful places to shop and sell. The owners are wildly talented and their stores are gorgeous. Any business owner would be fortunate to have a partnership with either of these fine establishments. The problem was that I was spreading myself too thin. In the end, Marc and I decided it would be best for me to focus on the Morgantown area and suspend selling my pieces down at Rooted. So this past Saturday, we joined my parents and trucked down to pick up my furniture pieces that were on display. 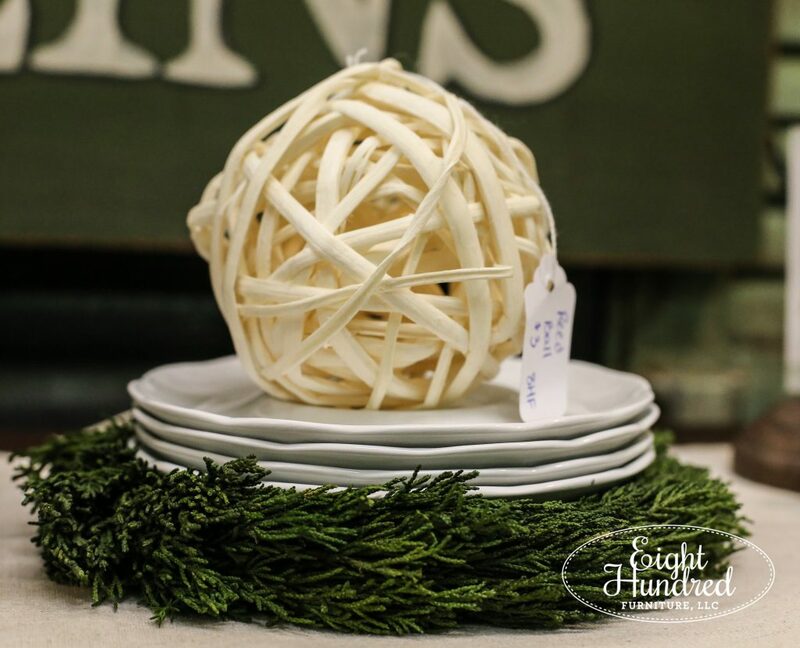 While the frigid January wind whipped around us, we packed up two desks, one dresser, a washstand, a small side table, an antique settee and two preserved wreaths. Between our two vehicles, we had quite the caravan! My goal was to take all of my Rooted inventory up to Morgantown Market and freshen up my booth space. Once we arrived at Morgantown, we all stared at my booth and began strategizing where things should go. There was talk of moving things from here to there but in the end, we needed the expertise of the owner of Morgantown Market, Stacey. I asked her what she thought about my space and she advised to “pack it in”. January is a popular month for furniture buying at the market, so Stacey encouraged me not to stress too much about staging furniture (which I tend to do), and focus more on fitting in as many pieces as possible. We were able to line up pieces around the perimeter of the booth and buddy other pieces back-to-back in the center, vignette style. Once the pieces were in place, I went around and dressed each one with small staging items. There’s an assortment of signs. Lots of ironstone bowls with pretty natural accents. Lighting options including lamps, pillar candle holders and lanterns. 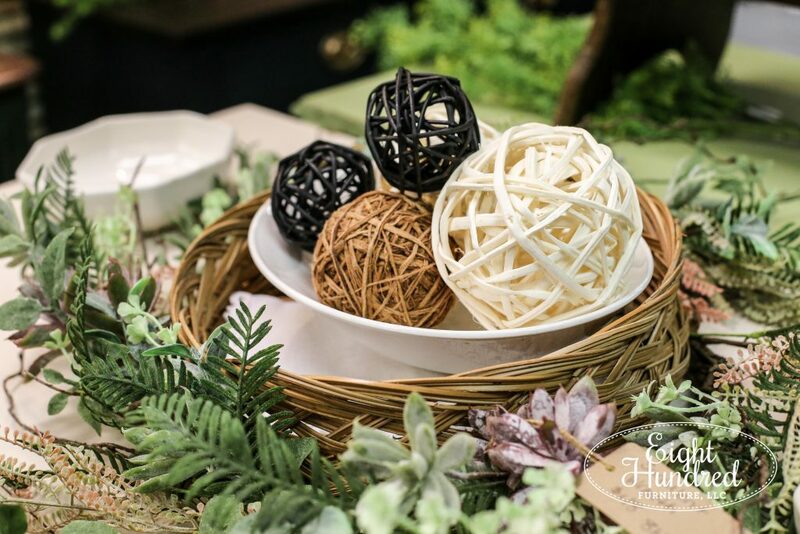 There are also different styles of wreaths, including these preserved tuscan cypress rings. There’s plenty to look at when you come visit. 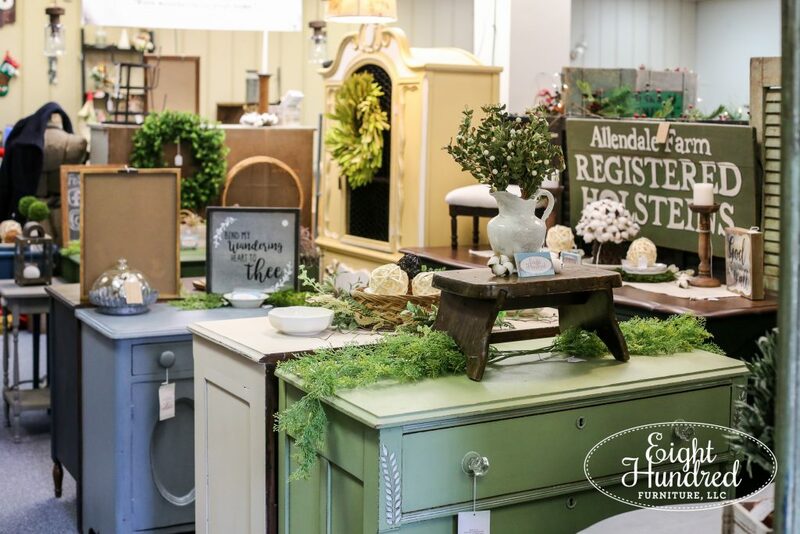 Also, if you look carefully in the photo below, you can see one of Miss Mustard Seed’s hand-painted signs from the 2015 Lucketts Spring Market! The registered holsteins sign used to hang in our old apartment, but our new place has more of a soft blue/gray/white theme so the colors don’t match anymore. I’m happy to let someone else love it now! 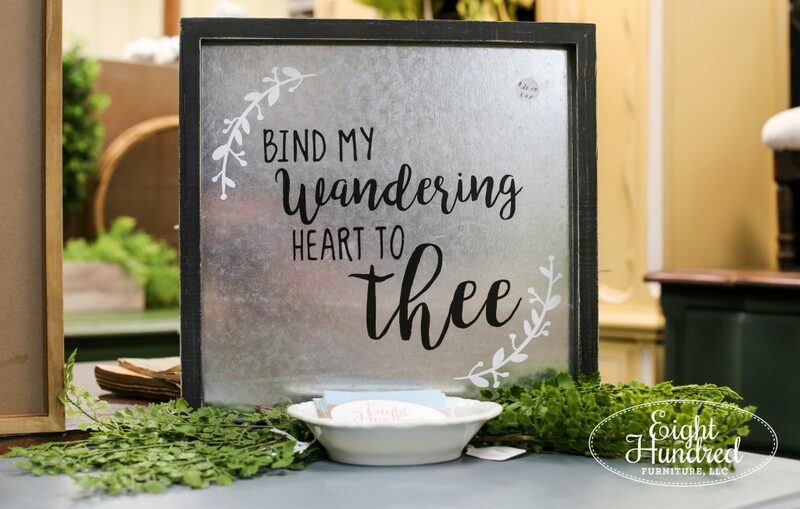 How exciting would it be to have a piece of Miss Mustard Seed in your home? 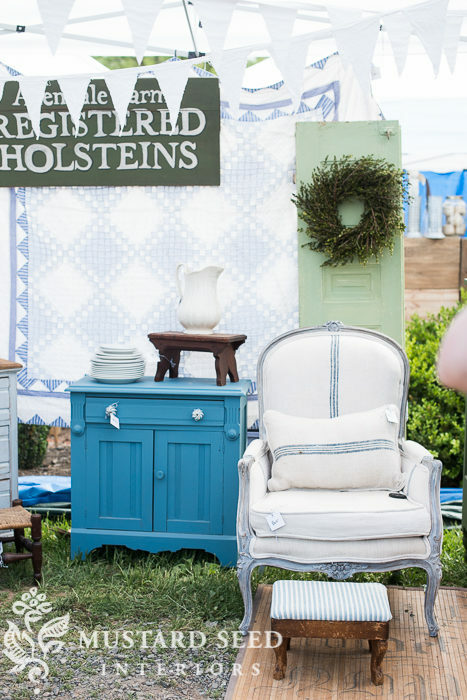 We were able to get every single piece from Rooted into my booth space with one exception – the antique settee/chair. I’d say that’s a win for the weekend! There are now 11 lovely pieces to choose from, and I thought I’d give you a tour of the majority of them. 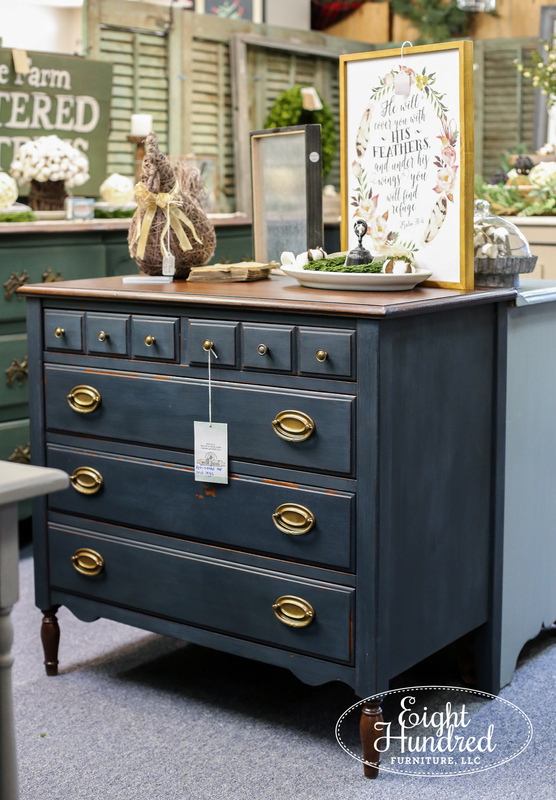 There’s this cherry chest of drawers that’s proudly sporting an Artissimo navy finish. 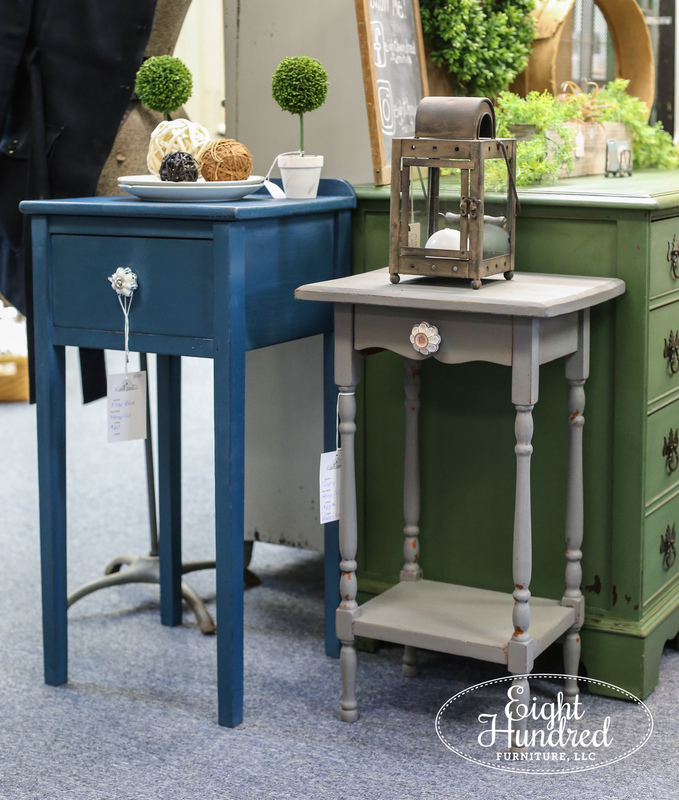 The legs and top were refinished, making a lovely combination of navy and wood. 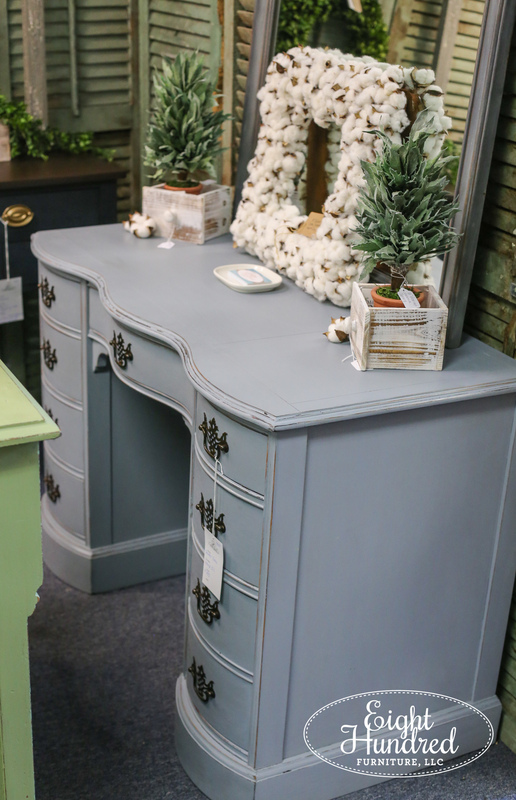 This antique dresser has gorgeous Knapp joinery, placing it between 1870 and 1900. 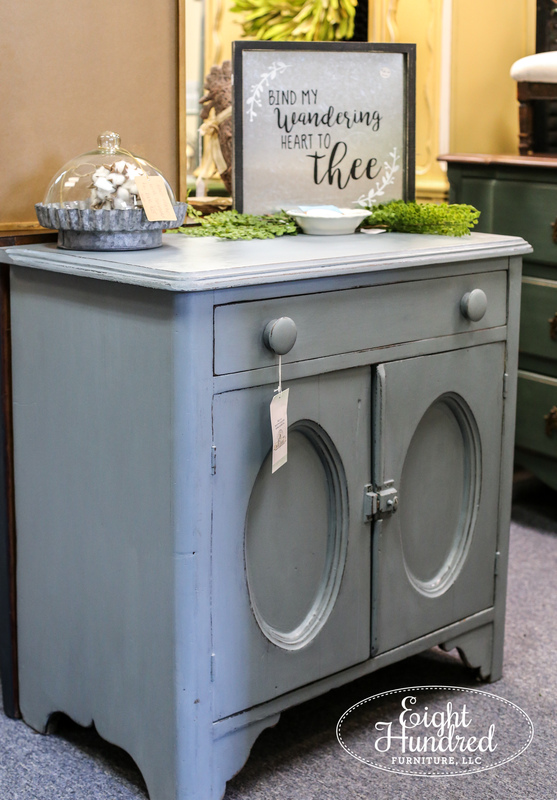 If you want a solid, old, and stunning piece of furniture for your space, this is it! This sweet little washstand was Marc’s nightstand until I found a piece that was a bit more narrow. It’s absolutely adorable and I wish we had a place for it in our home. 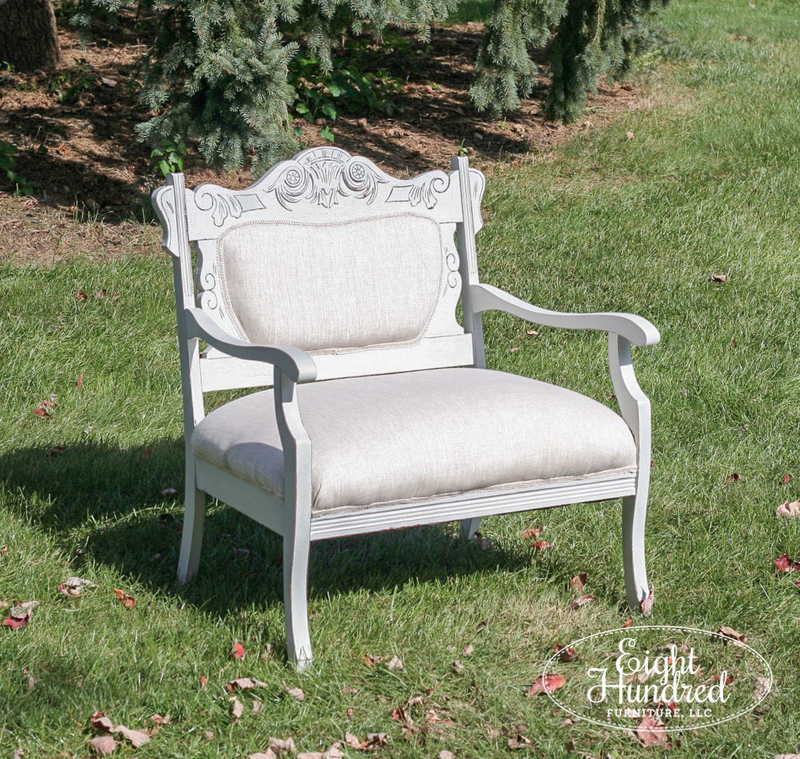 It’s painted in Bergere and it looks amazing with galvanized metal accents and pops of white. This serpentine front kneehole desk had damaged leather inlay on the top when I first bought it. I stripped that all off and removed the wood veneer that was surrounding it. The result is a velvety smooth top that is comfortable and level to use. 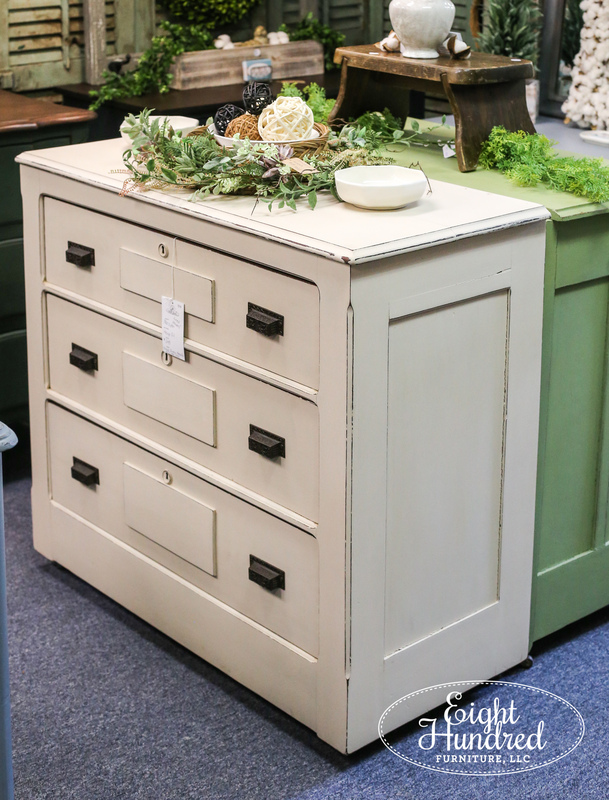 It’s painted in dreamy Shutter Gray and all of the drawers slide in and out smoothly and easily. 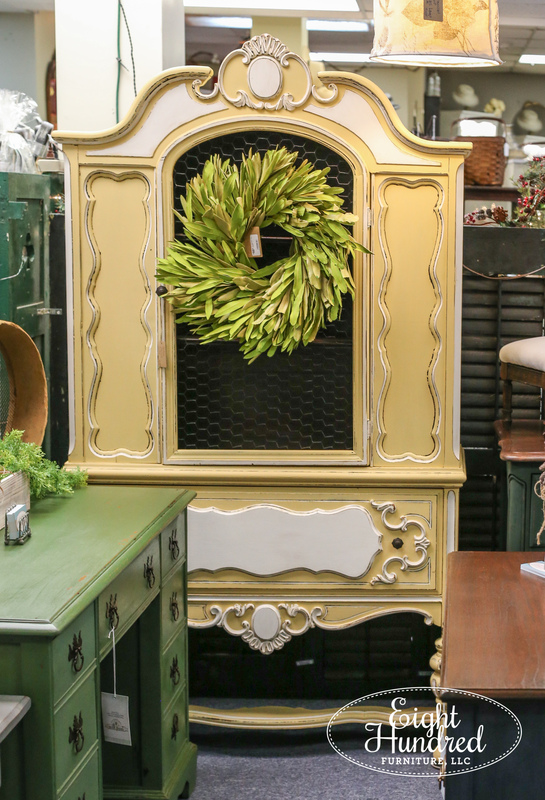 This Jacobean hutch cabinet is sporting a cheerful yellow chalk-type paint makeover. The glass that was in the door broke, so I replaced it with some black chicken wire. The drawer below is pretty darn deep, giving you lots of space to hold your treasures. I also have small pieces as well! 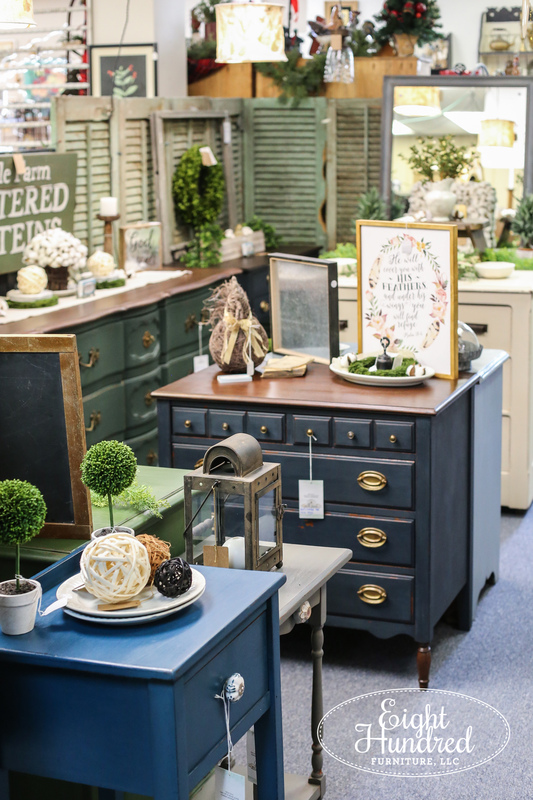 These two side tables are priced to leave quickly, so if you’re on the lookout for a smaller piece, act fast! 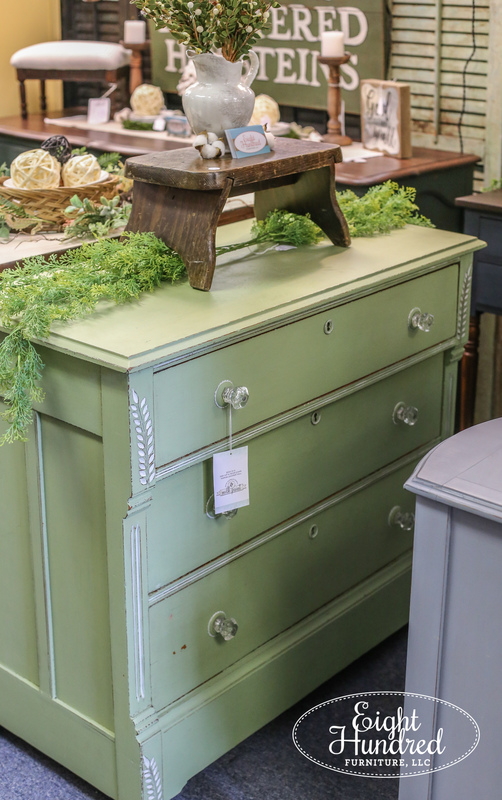 This Marzipan dresser is a dreamy almond shade. It’s solid, sturdy, and had the most darling set of wood casters underneath, making it easy to scoot around the room. 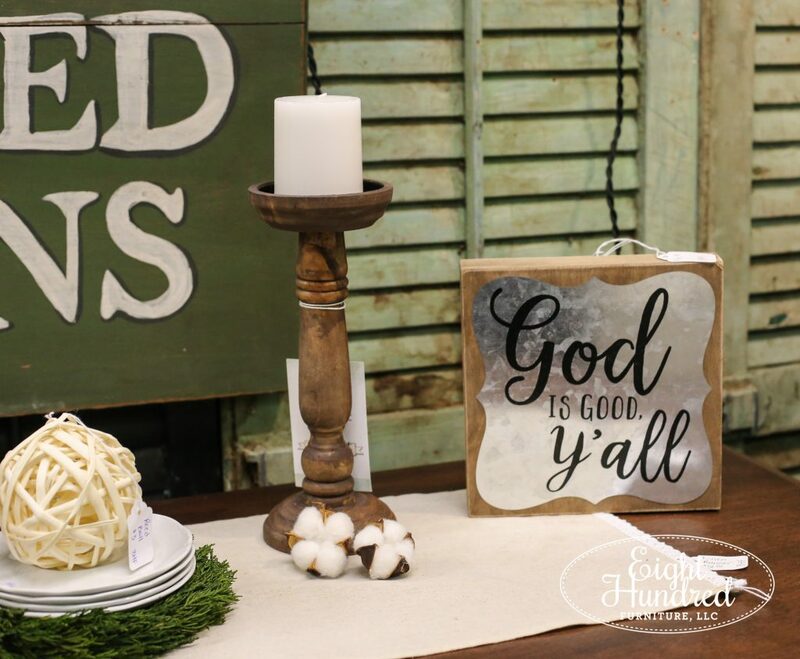 It would work in any decor, including coastal and farmhouse! I do have three other pieces I was unable to photograph – two desks and a large buffet – so whether you’re in the market to look at lots of different types and sizes of furniture or you want to see a wide variety of colors in the MMS Milk Paint line, my booth is poised and ready to oblige you! Morgantown Market is open every day from 10-5, so come visit soon and tell the ladies I sent you!